Greetings from Intentionally Living A Faith Filled Life! We are so glad you found us! Whether you are a veteran or newbie to studying the word of God, we want to first start out by saying that there is no wrong way to go about this! For us the W.O.R.D. Method of study has been the most successful, so we decided to share it with others! Join us as we read the word of God one chapter a day! Step 2: Each day (Mon. – Fri.) read one chapter of the Bible. 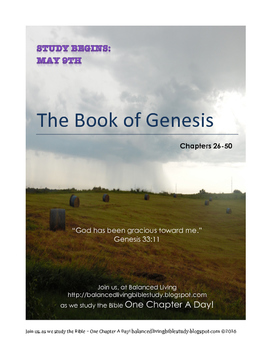 This Bible Study Guide was created for the Book of Genesis (Chapters 26-50). 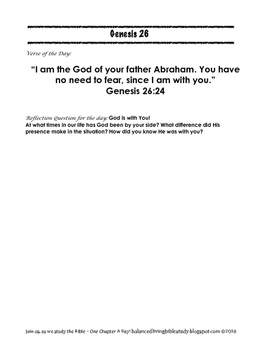 * The “Verse of the Day” & “Daily Reflection Questions” are located before each W.O.R.D. guide. 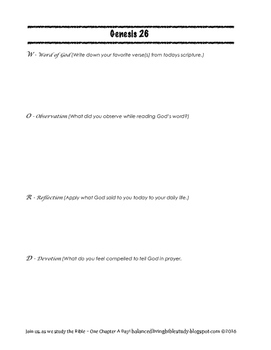 We hope you find our Catholic Bible Study resources easy to use. Please, feel free to share us with others! Keep a look out for more of our W.O.R.D. 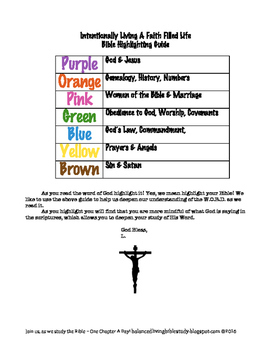 Method Bible Study Guides! P.S. - we recommend printing front & back if possible.